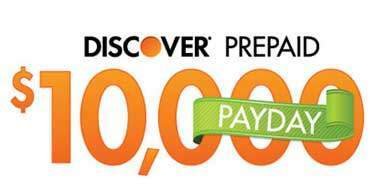 discoverprepaidpayday.com – 2013 Discover Prepaid Card Payday Sweepstakes. $10,000 Discover Gift Card. The preloaded/prepaid credit cards are gaining popularity in the market as more credit card providers are taking into using them. The cards have especially become simpler for people on travel. In he past, travelers used travelers’ checks, carry credit cards, wire transferred or cash stashed in travel money belt. All these methods had a lot of inconveniences until preloaded cards hit the market. With Discover Banks You get the chance to win one these prepaid credit cards with their 2013 Discover Prepaid Card Sweepstakes. The working of the preloaded cards is no different to that of the conventional card. The difference comes in that the amount to be spent requires being pre-paid. Once the card runs out of cash, the user needs to refill it so that they can continue using it. At the end of the month, the card holder receives a statement that explains to them amount spent instead of a bill like the conventional credit cards. The card holder decides the cash they need to deposit into their account and deposits it just like in other conventional cards. Since the card holder has no debt to care of, there would be no interest that is supposed to be taken care of. When you run out of cash in the middle of the month, you can either decide to refill the card or stop using it. Since the cards spend money that you have already paid, users cannot go into debt. (12) Monthly Prizes (one per month: January – December) – A $1,000 Discover Gift Card. 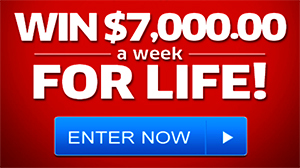 Limit one monthly prize per person throughout the Sweepstakes Period. my name is gabriel luna 464 …ive been online playing for thousands of hours .win-lot prizegrab- pch-they all say youve won ,this and you won that or you won but you need to play only 30 more games.well im truley having anxiety ,looking out side all the time for mail man,ups fed x,im all streesed.so now what ,with this much at stake why dont they just drive over,shoot ill pay the messeger 5000.00.my local church where my son attends needs stuff for there day care ,my sons home just got forclosed on ,my family and children.this is bullsh..
Would love to win this prepaid Visa Card Sweepstakes theres a good place i could use this Juliette .